New ListingGodzilla: Save the Earth (Microsoft Xbox, 2004) Complete Tested Works. 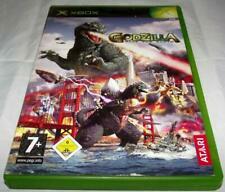 4 out of 5 stars - Godzilla: Save the Earth (Microsoft Xbox, 2004) Complete Tested Works. 33 product ratings33 product ratings - Godzilla: Save the Earth (Microsoft Xbox, 2004) Complete Tested Works. Genuine official Sony Playstation, not a reproduction! I try my best to make pictures in good resolution quality, so you can see their condition for yourself. advised to the following information. Godzilla Save the Earth Xbox. There is a slice down the front cover through the plastic AND the cover art (see picture 5)! 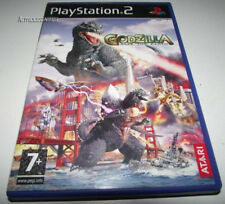 You are bidding on Godzilla: Save The Earth (PlayStation 2). Game is in like new condition and complete. Adult owned, from my personal collection. Comes from a smoke-free and pet-free home. Shipping to confirmed address only, within the 48 Contiguous United States. Tracking is included. Please contact me if you have any questions. All disc are in good working condition, I polish any disc that I feels needs it with a professional machine. Disc Condition:Very Good. All tested and works well. No Foreign Cheques. Personal Cheques have to clear before goods are released. No Manual. No Foreign Cheques. I believe it is the quickest and safest option. All disc are in good working condition, I polish any disc that I feels needs it with a professional machine. Personal Cheques have to clear before goods are released. See fan websites for this information. Languages: Japanese - however is easy to play. Condition: Very Good. Only use EMS for Italy/Spain. FREE to the U.S.A. any location. available to most locations. Technical Stuff. Subject strictly to the following conditions. News letter. Other: Up to 4 players, multi-tap required. Favourites List. Trade Assistant. Direct Links -. Our credentials.